If you are a Melissa Etheridge fan and want to show your support for this popular artist in a more subtle, discreet way, we have the perfect shirt for you. 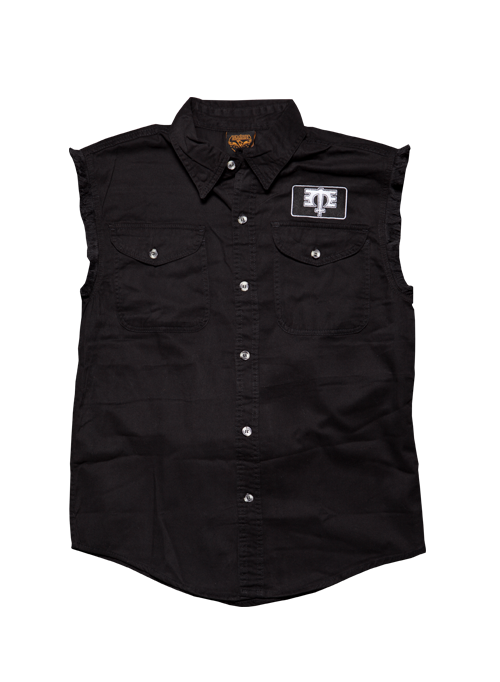 This sleeveless black denim buttoned worker shirt features her iconic ME logo embroidered in white on the front left pocket. It is an extremely classy and sophisticated look, and the shirt is ruggedly designed for the outdoors. However, because of its neat, smart style, it's also appropriate as a casual work shirt and layers nicely over your favorite tee. Get your official Melissa Etheridge gear and support this talented artist who has been delighting music lovers since 1985.